I know that I for sure ate my body weight in chocolate eggs! Anyways, with the start of a new month comes another great roundup of the top ten items you guys purchased and clicked on during the month of March. There were SO many great sales this past month, so online shopping was in full swing. This amazingly soft and flattering peplum tee went on sale this past month and you all went crazy for it! It’s one of those STAPLE tees that looks cute with just denim and is perfect layered under an oversized cardigan. It comes in four colors and once you have one, it’s really hard to not order another! I showed you all how to use this highlighter wand in my Instagram stories last month and I was so excited to get such great feedback about how much you ladies were loving it! It’s a little pricey, but it’s hands down one of the best highlighters I’ve ever used on my face. 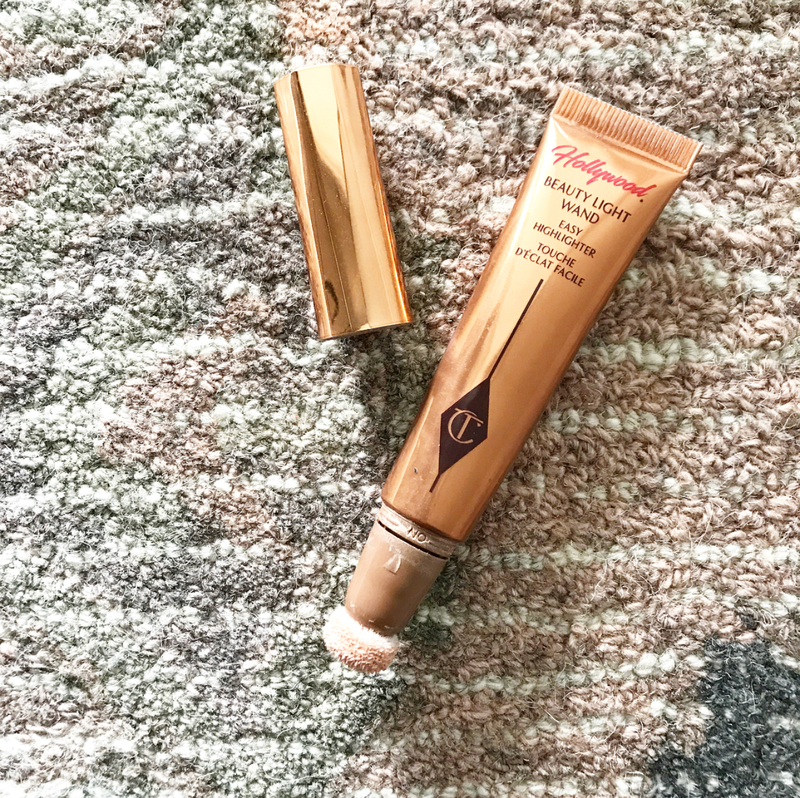 FYI- It seems like there is not a lot of product in the tube, but a little goes a long way (I’ve had mine for over 3 months). HANDS DOWN the best pajamas I’ve ever owned. I talked about them in this post here and many of you mamas-to-be picked them up for your hospital stay! I had a couple of you message me asking if they were worth the price and I would have to say they absolutely are! (Run true to size – I have a size small). The best invention EVER. No but seriously….if you didn’t pick up one of these key rings with my discount code in March, you should add one to your cart and check out immediately. 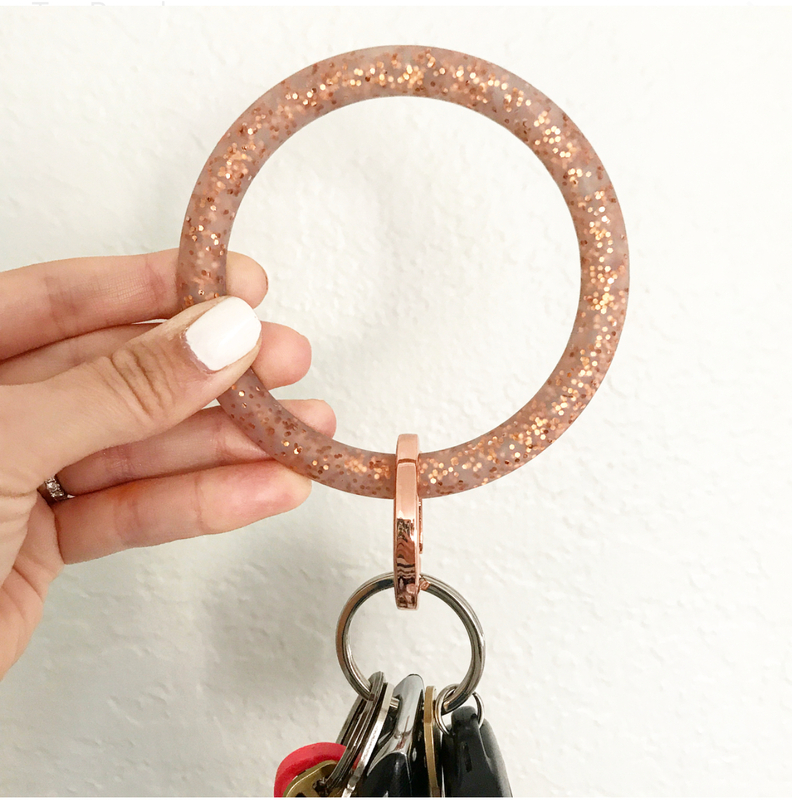 This key ring fits around your wrist so that you can be hands free (SO amazing if you have kids) and is so easy to locate in your bag as it’s bigger and easy to spot. I never thought that a key ring could be such a game changer, but once you have one of these, you can never go back, I promise! 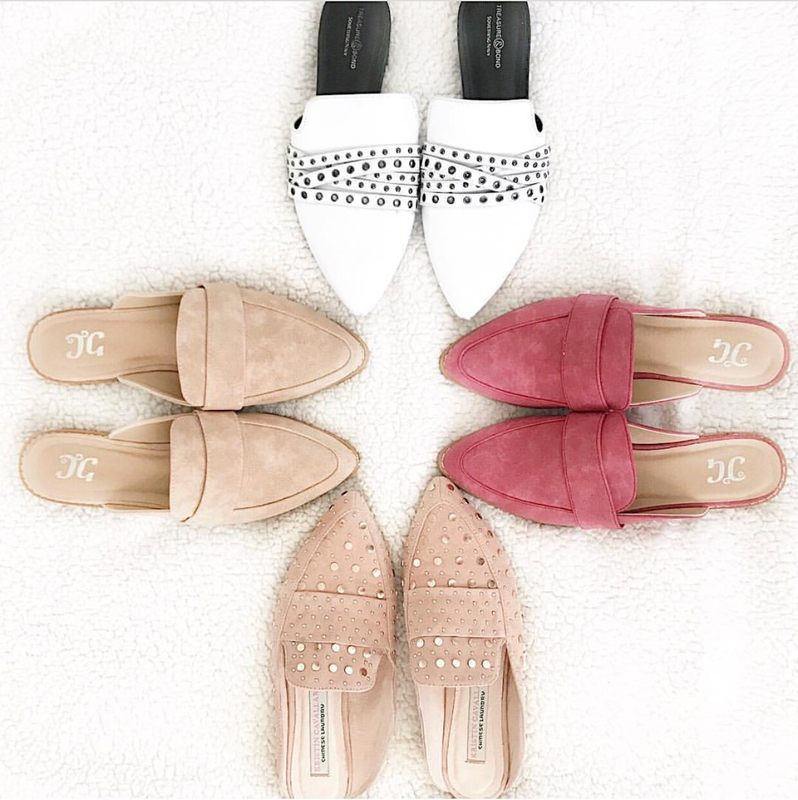 These mules were definitely some of your favorites last month as over a hundred of you picked them up! They are super comfortable and the taupe colors goes with everything. Perfect for work attire, a t-shirt and jeans or a casual spring dress. HOLY SALE. 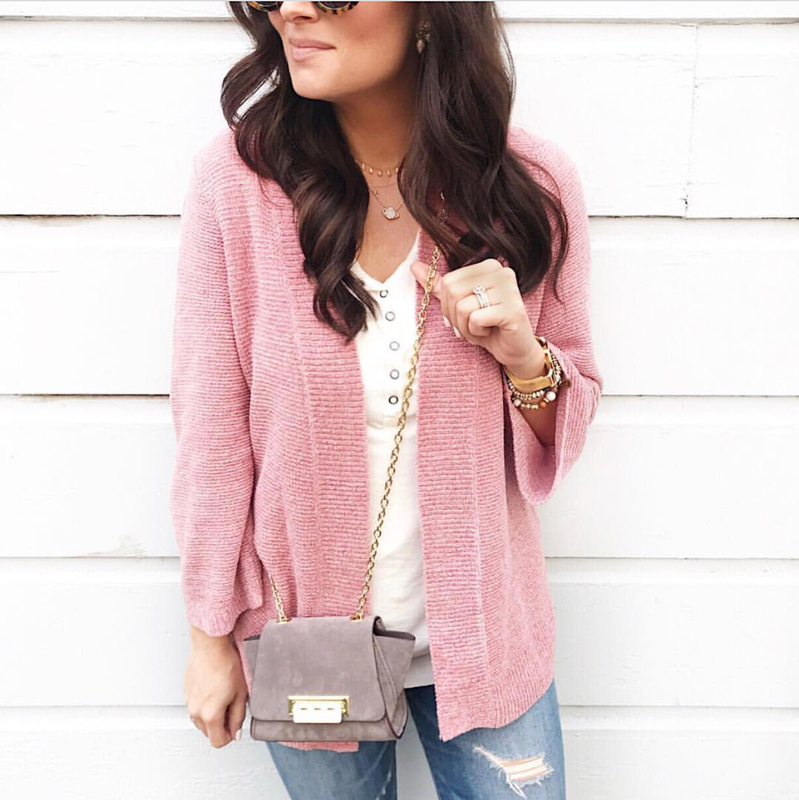 This adorable chenille cardigan was a huge hit last month as it was majorly discounted! 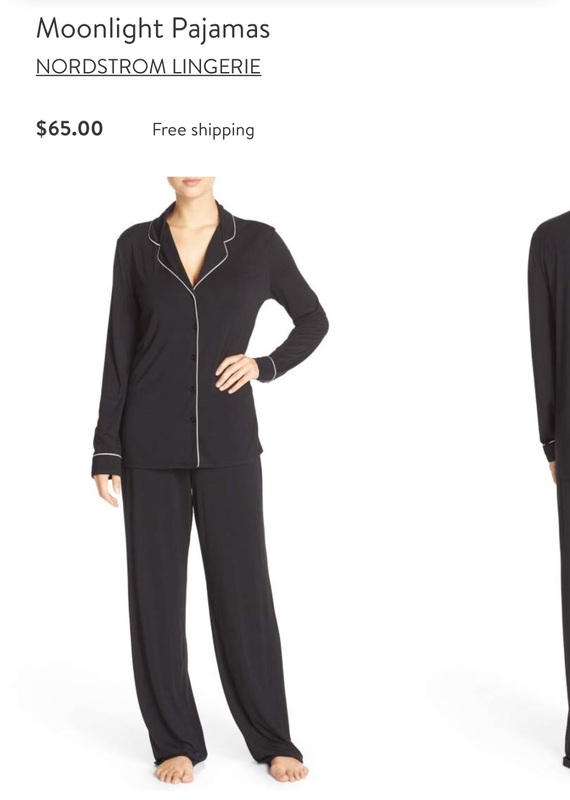 It is still in stock in some sizes and 50% off, making it under $20. This is a great cardigan for spring and summer! Oh my goodness, I LOVE these slides and so did all of you! So many of you snatched these beauties up because they went on sale. I wasn’t sure how I was going to like them but I’m so happy I ended up ordering them. They are SUPER comfy and so easy to slide on when running out the door. They will be perfect for hot summer days by the pool. I wasn’t even going to share this amazing sweatshirt with you guys as it’s been warmer weather in a lot of places. Well, I’m so glad I ended up sharing it because over 150 of you purchased it. I mean, who doesn’t need a great fitting, comfy sweatshirt on sale for $25?! Ok, the Nordstrom beauty sale was a HUGE hit! Some of my everyday beauty items that never go on sale were marked down by 15%, including all MAC lipsticks. I shared my absolute favorite colors on Instagram and over 200 of you ordered yourself a new lippie color or two! Does this surprise you at all?! It shouldn’t! These comfortable tees were the top seller for me in March and I couldn’t believe how many of you picked them up! If you were one of the hundreds of people that ordered this tee, did you order it in another color as soon as you received your first order in the mail?! Don’t worry, you are not alone! 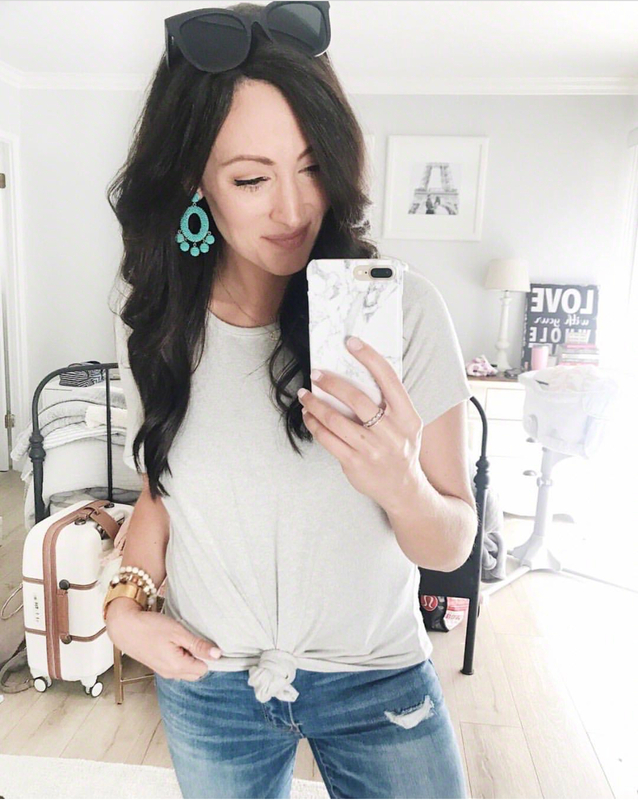 These tees are comfy, stretchy, perfect for everyday wear and have been on sale for over two weeks….they are a closet MUST! There you have it, the TOP TEN of March! So many great items and such a great variety from beauty to style to shoes. To say thank you for following along, reading my blog, shopping my links and sharing my blog with your friends, I’ve been doing a giveaway once a month. This month, I’ll be giving away some amazing new Pixie products to THREE lucky readers! To enter, follow the rafflecopter below…winner will be announced Saturday morning on my Instagram stories….GOOD LUCK! I love these post. Please keep them coming! Yay! Thank you so much Lauren – they are super fun to create! Peplum tee and MAC lipstick I will be living in all spring! Love all of your suggestions! Cool post! My first time visiting but I will be back for sure! I played a game of chicken with that Nordstorm beauty sale and lost — I couldn't decide which shades of lipstick and now I am full of regret!!! I love this post!!!! I purchased the tee!! LOVE!!! Thanks for all you do! I just started following you and I love all your great suggestions! That makes me so happy! Thank you for following along! 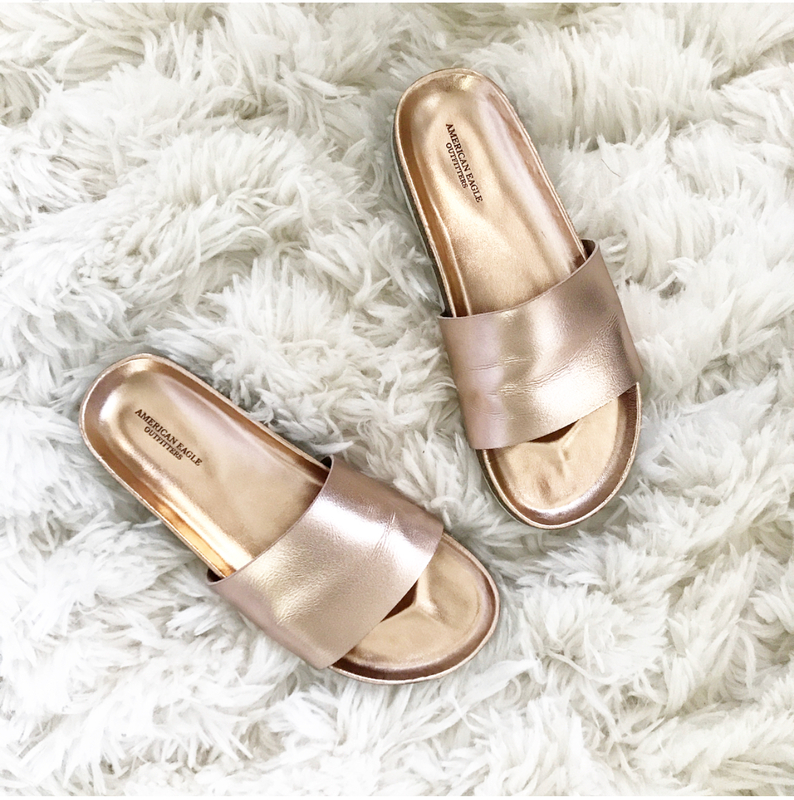 Love the rose gold slides! Need these for summer! Aren't they so comfortable! I love those slides! The MAC lipsticks were my FAV!! I finally have some good, neutral pinks that I LOVE. Yay! So glad you are loving them! It's raining here too and that sweatshirt is for sure going to be worn today! I love Pixi because of you!! I love your blog and your Instagram feed! Great style and lifestyle inspirations. I need that AE sweatshirt like yesterday! 🙂 Karri B. Yes you do girl! That AE sweatshirt is SO comfy! Love your post! Can’t wait to see more! I scored the luxe tee and loft cardi this month from your sale finds. I love sunday's when you tell me all the deals so that I do not have to find them myself. Yes you do Maddy! They are so comfy and perfect for the pool this summer! Thanks girl! I just did a whole post all about the lippies so that people could have a reference to go back to! Can’t wait to hear those lip colors! So pretty! Love love the highlight wand and the key ring! Genius! Love your posts & all your great finds each week! Thank you so much Beth! And thanks for following along….I appreciate it! Thank you so much Jennifer! And thank you for following along…I appreciate you! 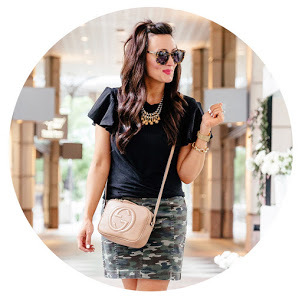 Those luxe tees changed my life! Thanks for all you do to bring us these amazing finds! They've changed mine too….SO GOOD! And you are so welcome….thank you for following along! LOVE the Lipstick in Blankety!! Thank you! Love these posts! I have got to snag a couple of the luxe tees. 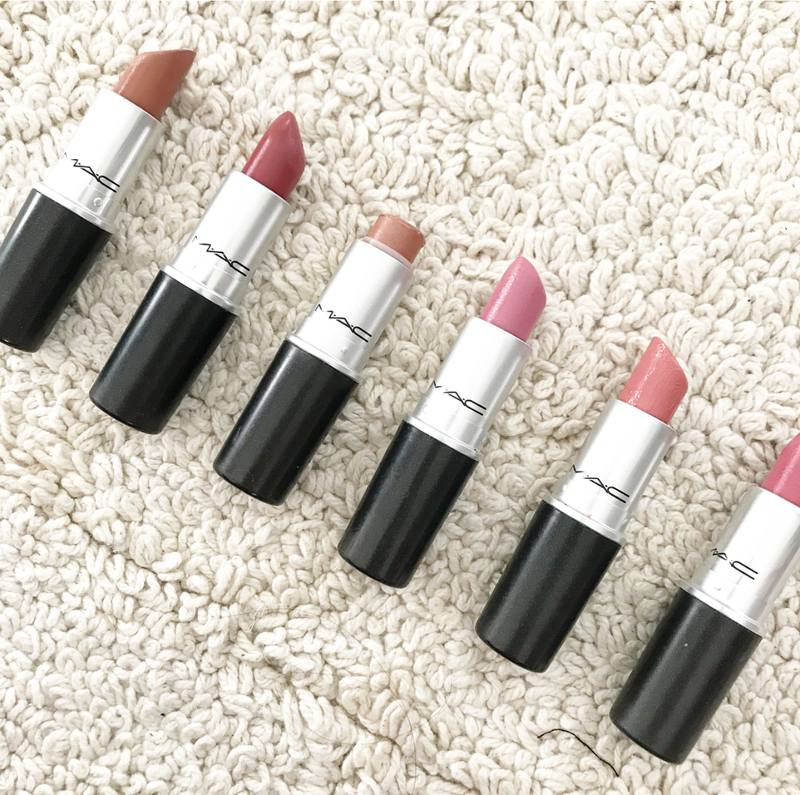 I purchased and LOVE the MAC lipstick!! Love the keychain bracelet! Such a good idea! The O Venture Keyring is perfect for teachers like me!! I love all your tips and coupons and posts. Thanks for all you do!!! Love those tops you posted! Also need to try this highlighter – I'm intrigued!! I thoroughly enjoy seeing what other readers are interested in. Thanks for sharing! Loving all your spring styles !! Loving all of your Spring styles !!! Just ordered the rose gold slides…can't wait to get them!! Ordered the rose gold pool slides!!!! They are comfy and stylish so win win!!!! Definitely not good for my bank account, but literally my favorite blogger ever!!! Thanks for being real!! I picked up three new MAC lip colors and I am loving them! I got three new MAC lip colors and I love them!